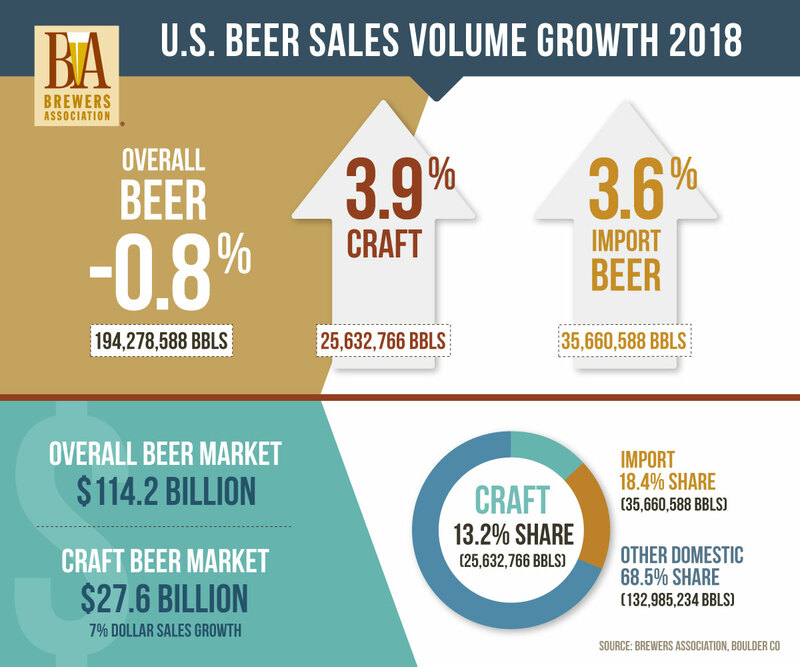 Overall U.S. beer volume sales were down 1% in 2018, whereas craft brewer sales continued to grow at a rate of 4% by volume, reaching 13.2% of the U.S. beer market by volume. Craft production grew the most for microbreweries. Retail dollar sales of craft increased 7%, up to $27.6 billion, and now account for more than 24% of the $114.2 billion U.S. beer market. 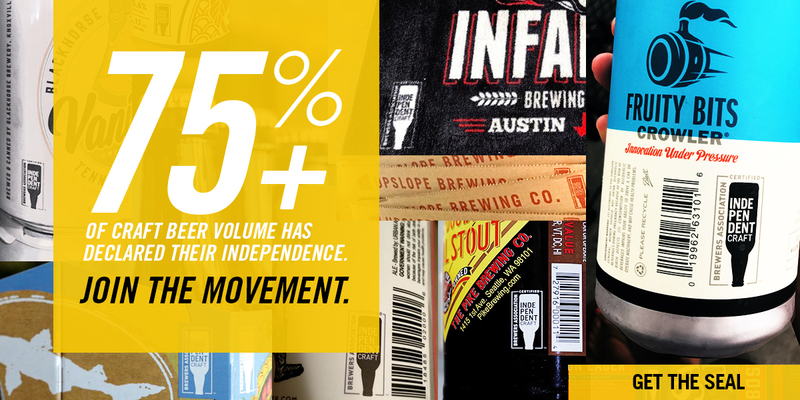 These statistics use the craft brewer definition of small and independent brewer. More up-to-date statistics and analysis can be found in the insights and analysis section of the website. Bart Watson | Brewers Association Chief Economist, Julia Herz | Craft Beer Program Director. For additional information or comments contact Paul Gatza or Ann Obenchain at the Brewers Association. 1.888.822.6273 or +1.303.447.0816. Comprehensive reports and analysis of the national beer sales and production data are available in the May/June issue of The New Brewer, The Journal of the Brewers Association, released in mid-May each year. The issue can be purchased in the Brewers Association online store.